Plywood is a sheet material manufactured from thin layers or "plies" of wood veneer that are glued together with adjacent layers having their wood grain rotated up to 90 degrees to one another. 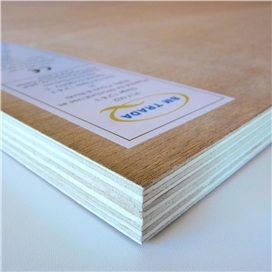 Ply is ideal for roofing, flooring, hoardings and walls. Hardwood, Softwood & Marine are now in stock at all of our branches. Buy great products from our Plywood Category online at Beesley & Fildes or Colin Myers timber. “Q-Ply” Structural Quality Panels are designed to give you peace of mind when specifying plywood for walls, roofing and flooring applications. The Q-Mark structural plywood scheme is a third party product certification scheme operated by BM TRADA Certification Ltd. The scheme covers factory production control, documentation and test/assessment evidence, and the resultant certification is specific to clearly defined products and their constituent components. One of the main objectives of the scheme is to provide specifiers, regulators and inspection authorities with the appropriate information for them to identify suitable products for structural use.